Java Database Connectivity(JDBC) is an Application Programming Interface(API) used to connect Java application with Database. JDBC is used to interact with various type of Database such as Oracle, MS Access, My SQL and SQL Server. JDBC can also be defined as the platform-independent interface between a relational database and Java programming. It allows java program to execute SQL statement and retrieve result from database. Auto loading of Driver Interface. JDBC Driver is required to process SQL requests and generate result. 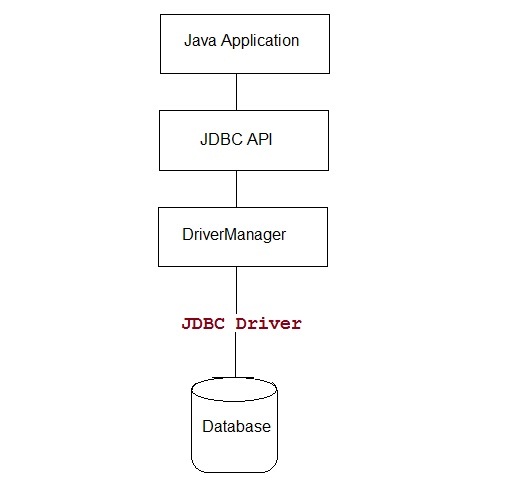 The following are the different types of driver available in JDBC. 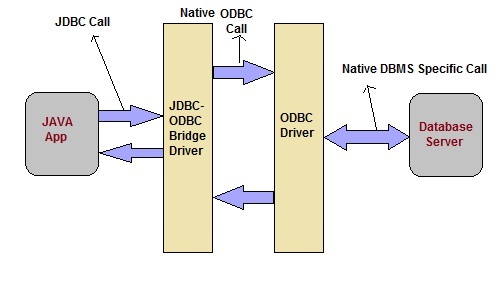 Type-1 Driver act as a bridge between JDBC and other database connectivity mechanism(ODBC). This driver converts JDBC calls into ODBC calls and redirects the request to the ODBC driver. Allow easy connectivity to all database supported by the ODBC Driver. 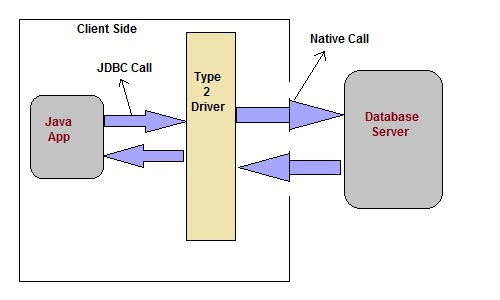 Uses Java Native Interface(JNI) to make ODBC call. This type of driver make use of Java Native Interface(JNI) call on database specific native client API. These native client API are usually written in C and C++. 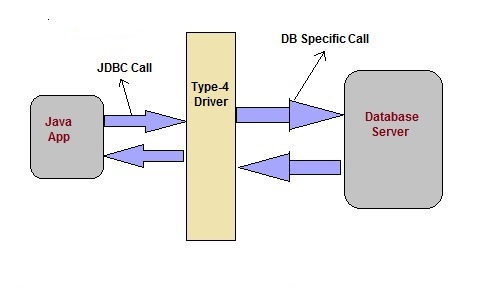 This driver translate the JDBC calls into a database server independent and Middleware server-specific calls. 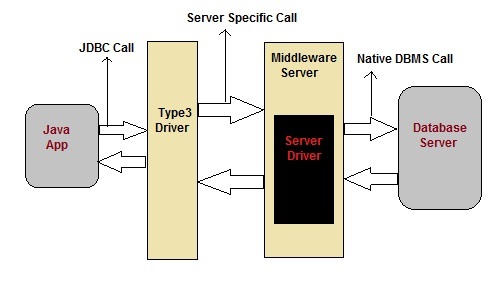 Middleware server further translate JDBC calls into database specific calls. Does not require any native library to be installed. Provide facility to switch over from one database to another database. Slow due to increase number of network call. This is Driver called Pure Java Driver because. This driver interact directly with database. It does not require any native database library, that is why it is also known as Thin Driver. Does not require any native library. Does not require any Middleware server. Better Performance than other driver.